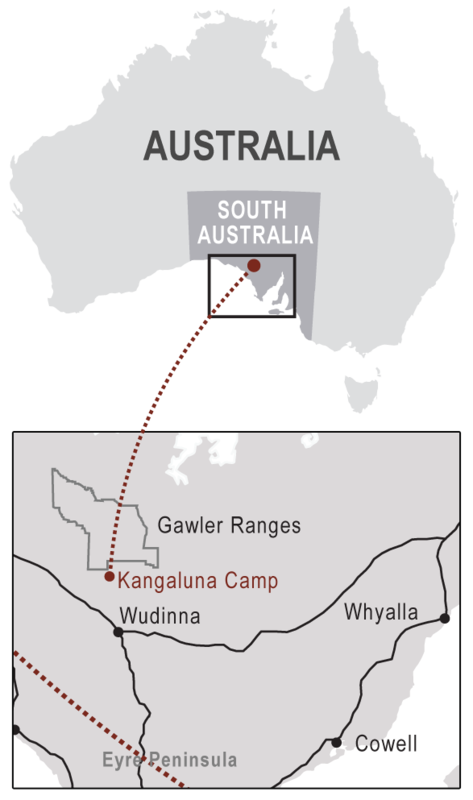 The Gawler Ranges, 600kms to the North West of Adelaide on the Eyre Peninsula, is Outback Australia at its best. The diverse terrain changes from semi-desert to arid to eucalypt woodland, while the age old volcanic landscape is spectacular with its gorges and weathered rocky outcrops. Kanagluna Camp is a nature-based eco-friendly accommodation. The camp provides 3 canvas eco-luxe wilderness tents & a converted canvas wagon. There is a dining area with seating for 14 and full catering is provided. Each accommodation has private facilities, power for charging devices is available in the dining area. 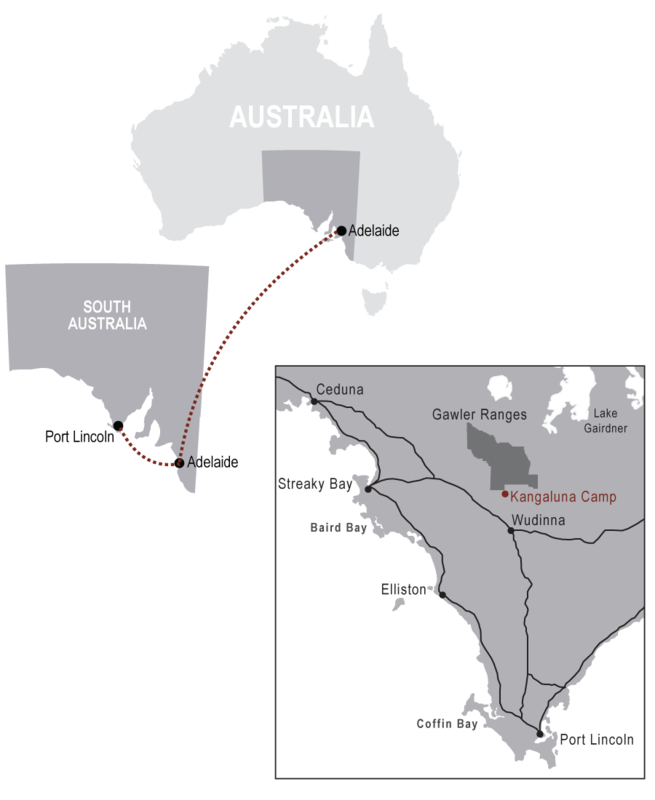 Kangaluna Tent accommodation is a package together with a touring program and is not available without the touring. The Swagon can be hired as accommodation only on Monday Tuesday or Wednesday nights fully inclusive of meals and beverages. You can link with our tours at Wudinna and have your vehicle stored free of charge for the duration of the tour. Guests driving the Explorer Highway from Darwin to Adelaide, only have to divert 2 hours to Wudinna, to connect with our Safaris. 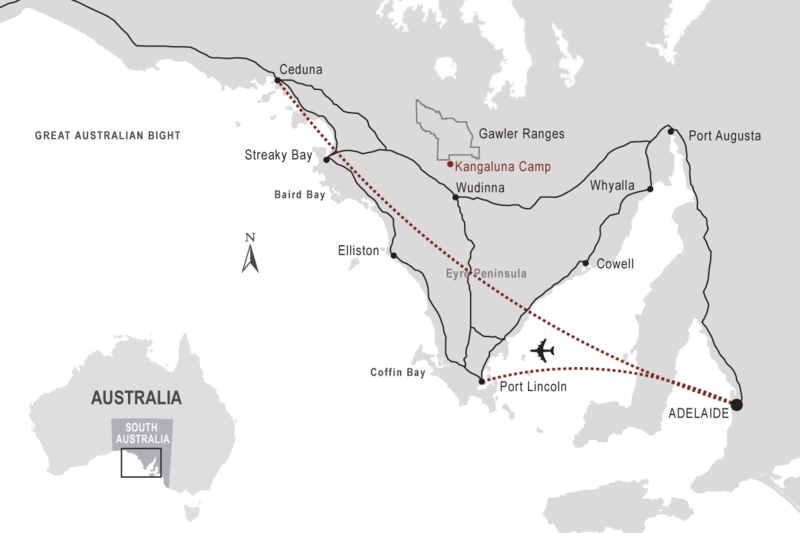 The town of Wudinna, our pick-up point, is on Highway One (en-route to Perth from Darwin or Adelaide).